Doesn’t that look good up there? 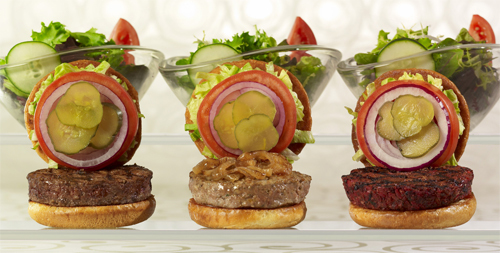 Those are SkinnyLicious Burgers from The Cheesecake Factory. 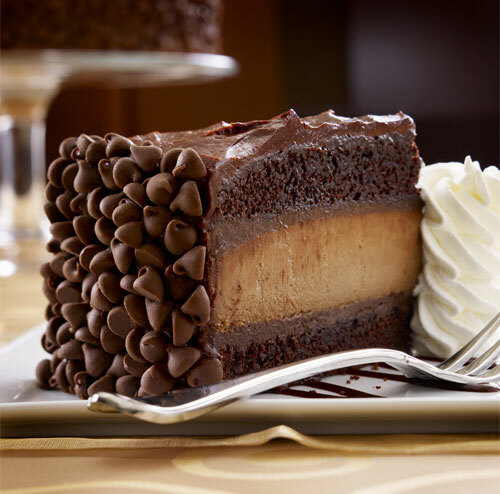 Looks just as good as that cheesecake from the other day, right? No? Oh well. Better not revisit that link then and instead continue on for the SkinnyLicious press release. I didn’t know the Royal Couple was honeymooning in Hollywood, but I do know a good hot dog when I see one. Maybe Will and Kate (whoever they are) can take one back to the other side of the pond to give the food of their country a much needed, uh, hot beef injection of flavor. 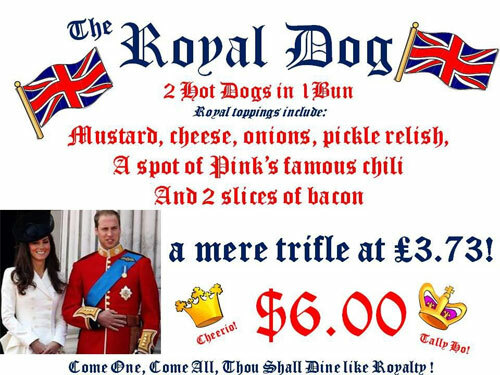 A new hot dog was created in honor of the royal visit – THE ROYAL DOG, 2 Hot Dogs in 1 bun with “royal toppings” which include: mustard, cheese, onions, pickle relish, a “spot” of Pink’s famous chili and 2 slices of bacon, “a mere trifle at ₤3.73” or $6.00. Come one, come all, thou shall dine like Royalty!! If you’re in London (and surrounding areas) you can use the internet to eat. Well, to order to eat, that is. Of course they do everything backwards (and on the wrong side of the road) back there, so instead of calling it ‘take-out’ they say ‘takeaway’. And Just-Eat is the internet-y way of ordering. But what to do when the fish and chips arrive without the little wooden fork? 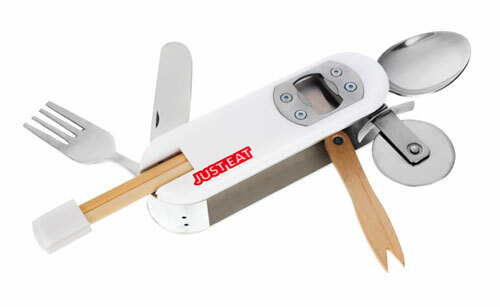 Well, in a clever marketing bit, Just-Eat has created the Swiss Army knife of utensils, the Eatensil. Packed into the monstrosity is a pizza cutter, a wooden chip fork, chopsticks, a knife, a fork and a spoon. And for good measure a bottle opener is housed directly in the body. It doesn’t look like the Eatensil is in actual production, but I’m guessing that even over there, the pizza does arrive pre-sliced.